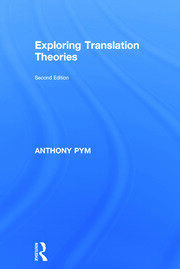 Anthony Pym is currently Professor of Translation and Intercultural Studies at Rovira i Virgili University in Spain. He is also President of the European Society for Translation Studies, a fellow of the Catalan Institution for Research and Advanced Studies, Visiting Researcher at the Monterey Institute of International Studies, and Professor Extraordinary at Stellenbosch University. Anthony Pym is Distinguished Professor of Translation Studies at Rovira i Virgili University in Tarragona, Spain, and Extra-Ordinary Professor at Stellenbosch University, South Africa. He was a Visiting Researcher at the Monterey Institute of International Studies from 2006 to 2015. His permanent residence is in the village of Calaceite, Spain.